Show your spectators some real magic with this incredible penetration! 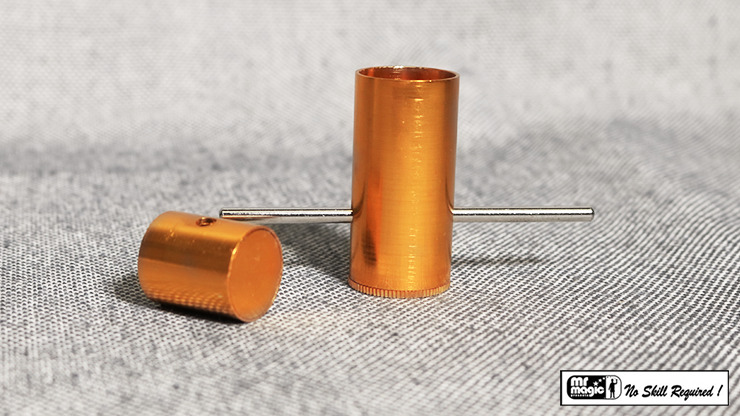 You put a smaller cylinder into a larger one and show that a silver pin can pass through both of them using the available holes. However, despite the silver pin locking everything in place, the small cylinder penetrates right through the pin to fall out of the larger cylinder. A truly puzzling and perplexing penetration! Order yours today!